The Roots' Black Thought On How Art Saved His Life The Roots frontman Black Thought (aka Tariq Trotter) joins Stretch & Bob for an open conversation about his early days in Philly, how childhood trauma motivated him to succeed and the guys uncover his 1994 freestyle from their show at WKCR. You know him as the always bespectacled, beard-donning front man of the legendary Philadelphia-born hip-hop collective The Roots, but Black Thought (aka Tariq Trotter) is many things: a father, an actor, a visual artist and a solo MC. He's also on television five nights a week with The Roots as part of the house band on The Tonight Show with Jimmy Fallon. 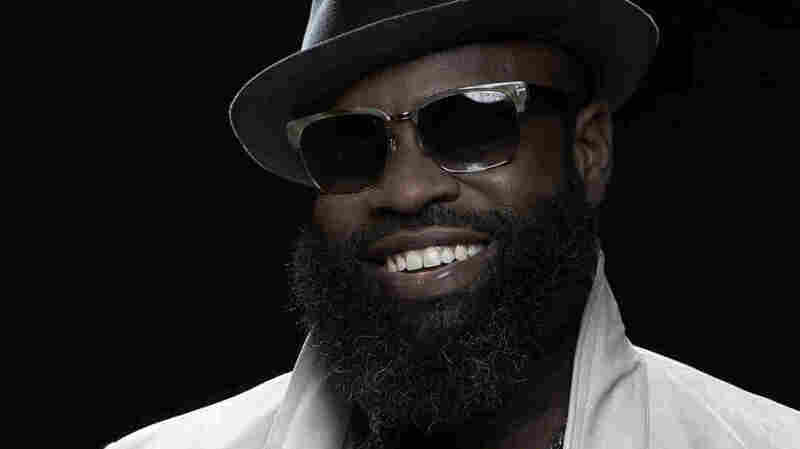 A gifted lyricist from a young age, Black Thought co-founded The Roots with Questlove when the pair met as teens at The Philadelphia High School for Creative and Performing Arts. He has become known for his grasp of complex rhyming schemes, politically charged lyrics and an encyclopedic ability to pull references from literature, history, and popular culture. 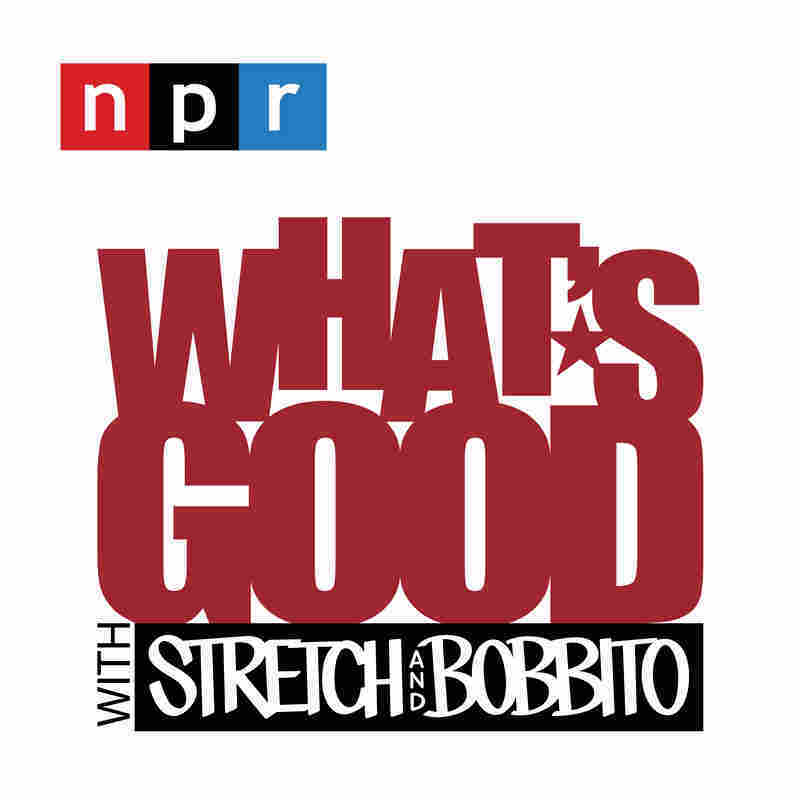 Stretch and Bob have a long history with Black Thought, as he appeared on their WKCR show in the '90s to spit rhymes like greats before him (Rakim being an obvious influence). Black Thought joins the guys for a deep and open conversation about the early days of Philly hip-hop, how art saved his life after the murder of his mother, and his first order of business when returning home from tour. Plus, the guys pull a 1994 clip of Black Thought's first performance on their '90s radio show. I've always sort of listened to news radio. I grew up riding in the backseat of a Cadillac with my grandfather driving, chain smoking Benson and Hedges Gold, and listening to news radio. That's what I do. I'm that dude... I hear what the news said is going on. I have a more broad representation, I try to dial in deeper into world news and get different opinions, you know what I mean? It's almost a responsibility as an artist. I'm able to inform the listener, because I'm informed. I was born into the nation of Islam, there's lots of information that I would receive, I guess because it's what I was being exposed to, in the household. Speeches that I was would hear, paper newspapers, all that sort of thing, pamphlets that my mother would have when I was growing up. But then I also grew up around my grandmother who was also very active in the church and would take me to church with her, so I got some of my information from there as well... I was reading the Koran, I was reading the Bible, I was always super into English Lit, English and History, or at the time I guess Social Studies, a couple of my favorite courses in school outside of visual art. I took to Shakespeare and the cadence in which he would write sometimes. When I saw rappers using that, when I saw Big Daddy Kane and Kool G Rap and Rakim rapping in iambic pentameter, I was like, yo, this is dope! It had a huge impact on me as a young writer. One of those Wu-Tang dudes said before that too much knowledge might break up the rhyme. You know what I'm saying? And I think that rings true. There's such thing as being too densely packed with information for the listener to digest, so much that they shut down, and they're not receiving anything that you're trying to give them. It's a delicate balance between keeping it street, keeping it hood, and saying something that's going to make you go want to do a bit of research. I suffer from PTSD, and it manifests itself in different ways at different times. What was normal for me as a child, I've grown to understand, is not normal. Murder, being exposed to that sort of thing, and understanding the concept of the taking of one's life, knowing people, seeing people murdered at such a young age, gunshots, what Philadelphia was like when I was growing up. And it wasn't only this way, but many of the things I saw as normal in my neighborhood had... I can't even articulate the effect they've had on me. It's an everyday sort of struggle, that's just real. Very many of us suffer from undiagnosed mental health issues and traumatic stress issues just based on where and when we sort of grew up, you know what I mean? You know, both my parents were murdered. My father, you know, when I was super young, and my mother when I was in high school, around after Questlove and I had been together for about a year or so, when I lost my mom. You know, I felt like the world might end. My world, definitely — something within me was lost when I lost my mom. But it sort of renewed a drive as well, within myself, that made me more determined to make whatever it was I going to do, pop. I didn't think I was going to become a professional musician really until after I lost my mom. That's when I really decided, this and only this is what I want to do.